Digital Marketing is a best way for marketing the products through electronic media and best way to expand business of developing company and for developed companies and it is useful in devices like Phones, computers, tablets and game relieves to engage any customers. 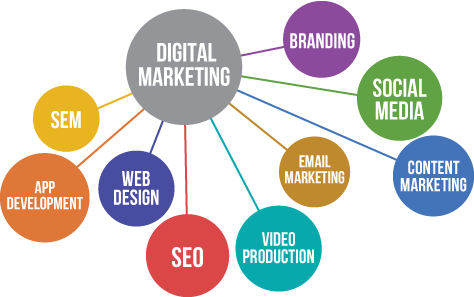 Infortecor has specialized and skilled teams for digital marketing. Search Engine Optimization is to have innovative line of products and services that draws the customer’s attention and search engine gives a business a competitive advantage over long term at best cost. Our expert teams are skilled in “Link Building”, one of the basic and effective ways to get internet traffic for your websites. With growing internet users globally, it has become important for business to reach out the highest number of customers through media and effective way is SEM and we make website visible, faster, which can target the market and our teams are skilled in creating Search Engine Optimization and Pay Per Click (PPC). Social Media Marketing is the current trend these days and we provide more superior and targeted research online to connect directly the customers and our social media experts have years of experience in marketing. Social Media Marketing is mainly based on brand name and SEO words. Email Marketing is one which generates prospects from the leads generated and we have a team that offers objective oriented email marketing services to our client. Mobile marketing is developing rapidly in India and in world and every individual uses the mobile in the world which makes mobile marketing one of the best in the industries. From mobile marketing an organization can develop customer database who are interested about the specific brands. Our company also offers application marketing, the current trend in the market.